Travel in style whatever the destination with this personalised leather travel jewellery case. 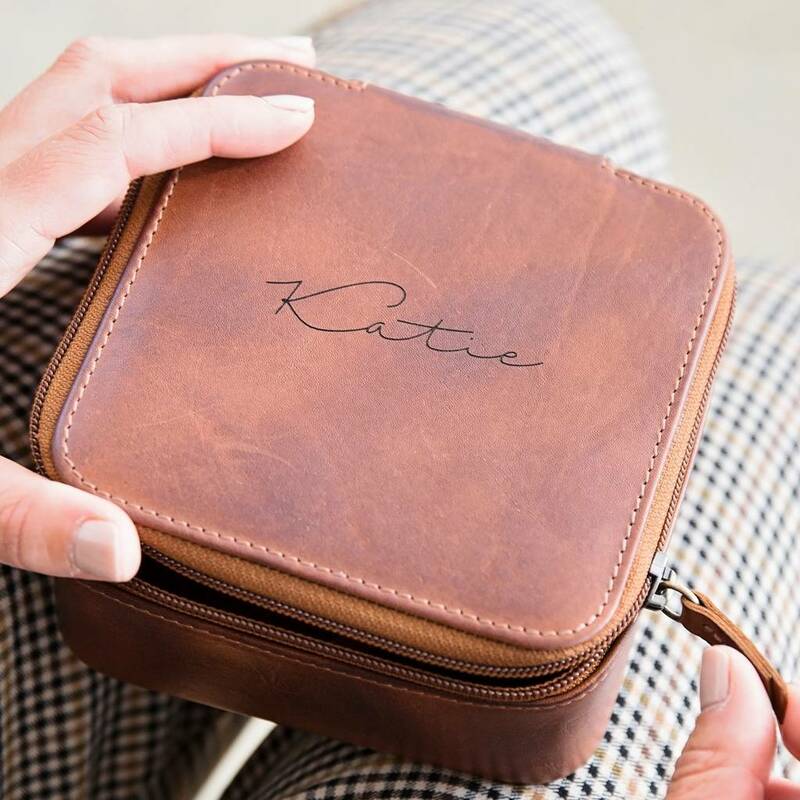 New and exclusive to Ginger Rose, the bespoke design of this personalised leather jewellery case is with travel in mind. 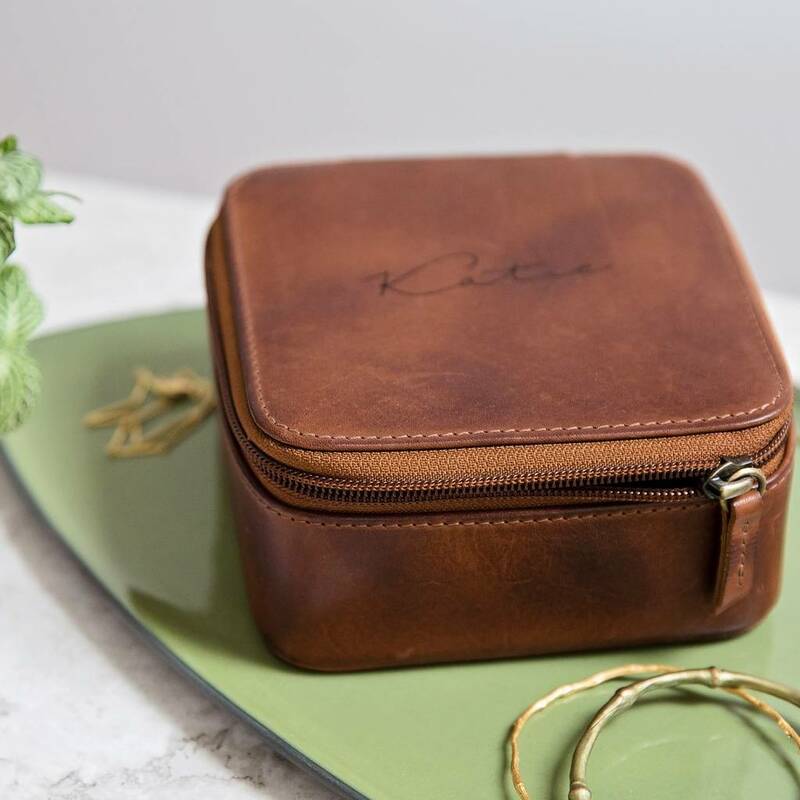 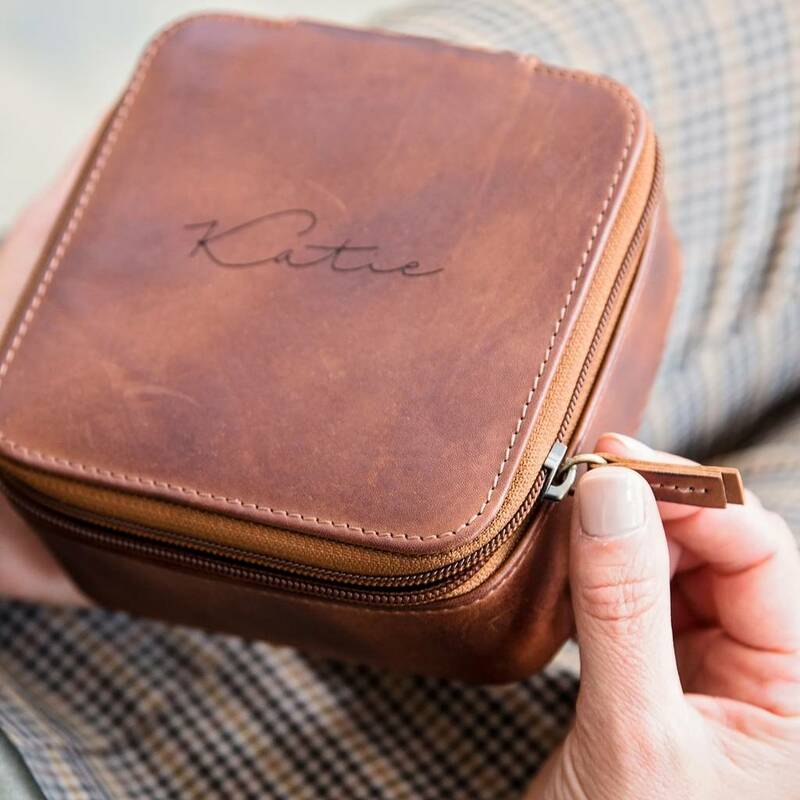 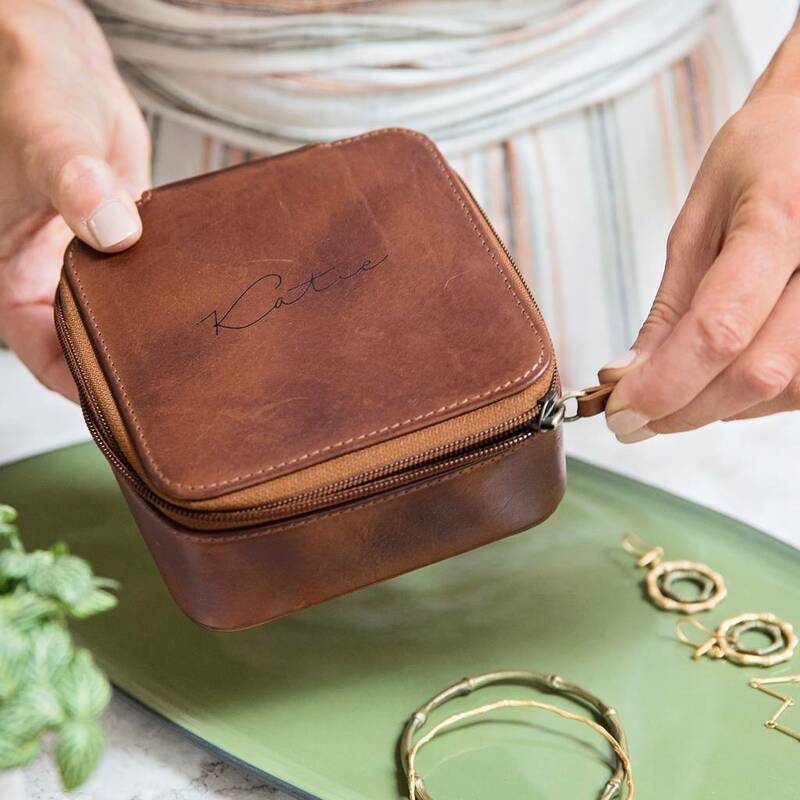 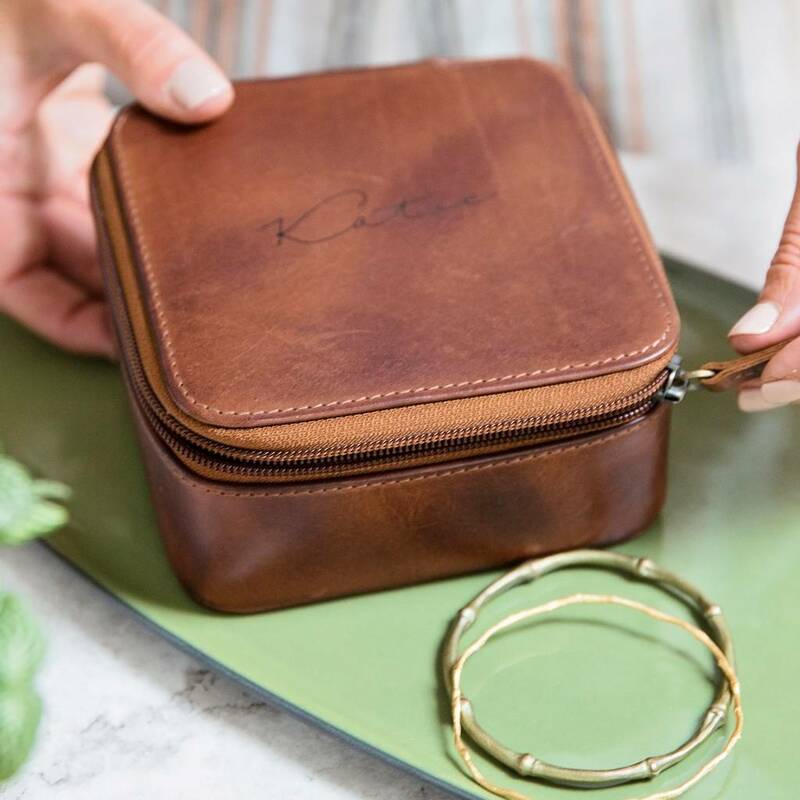 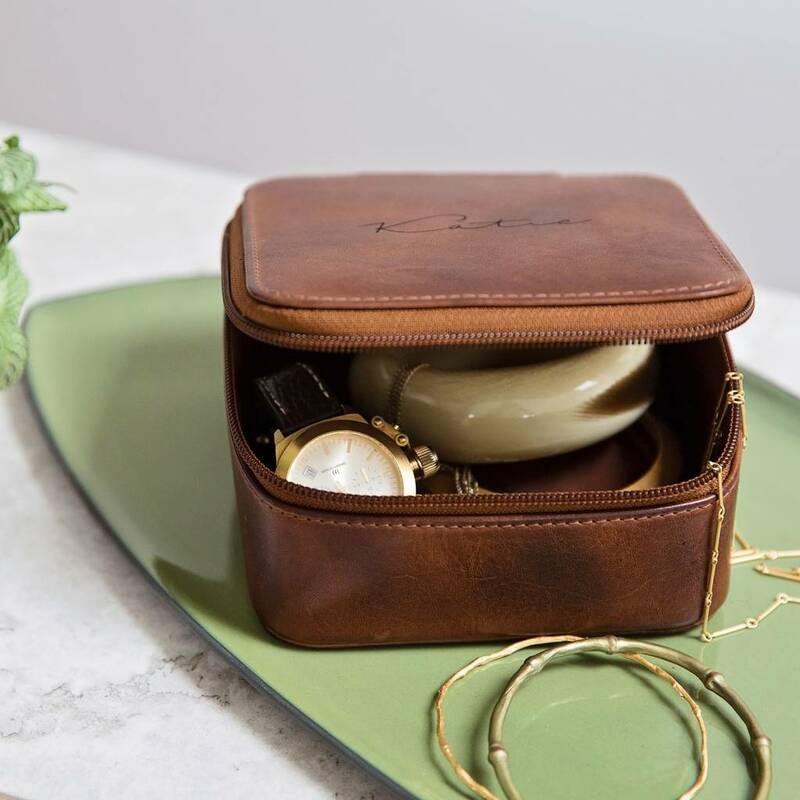 Crafted from butter soft tan leather, this larger tactile leather jewellery storage pouch will keep your jewellery items safe and secure whilst you are on the move with enough space to store a watch, earrings, rings or bangles. 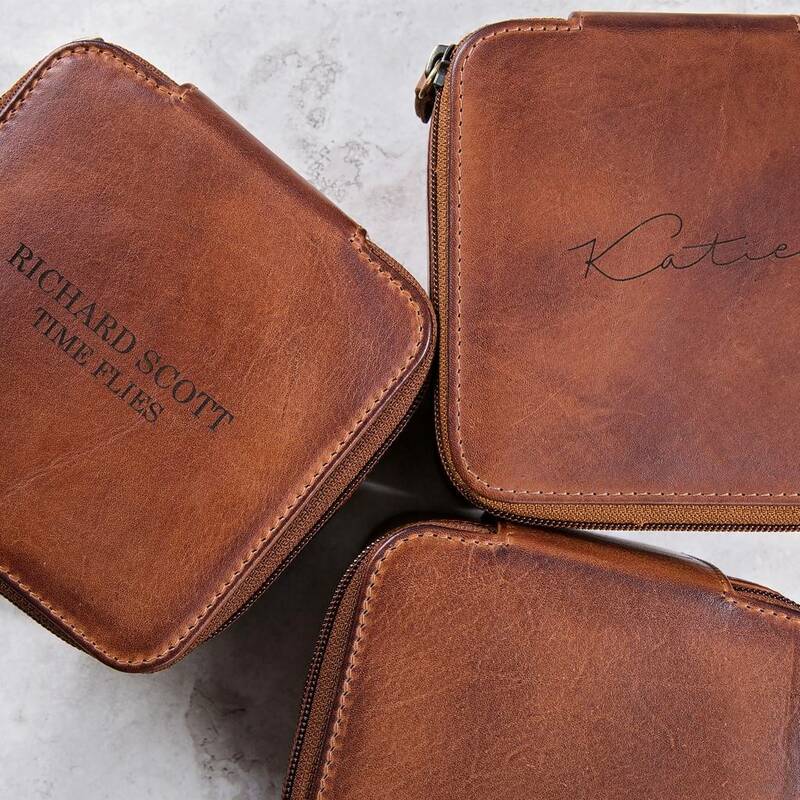 Makes a great mothers day gift or give to your wife to mark your 3rd wedding anniversary or a career flying daughter on her 30th birthday, whoever, it makes a winning leather gift for her! 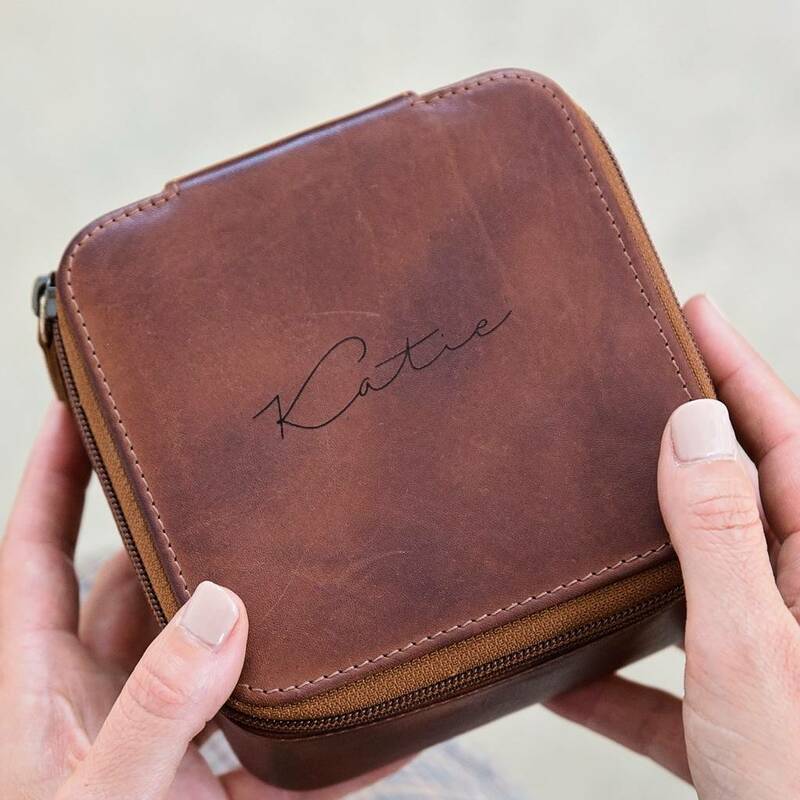 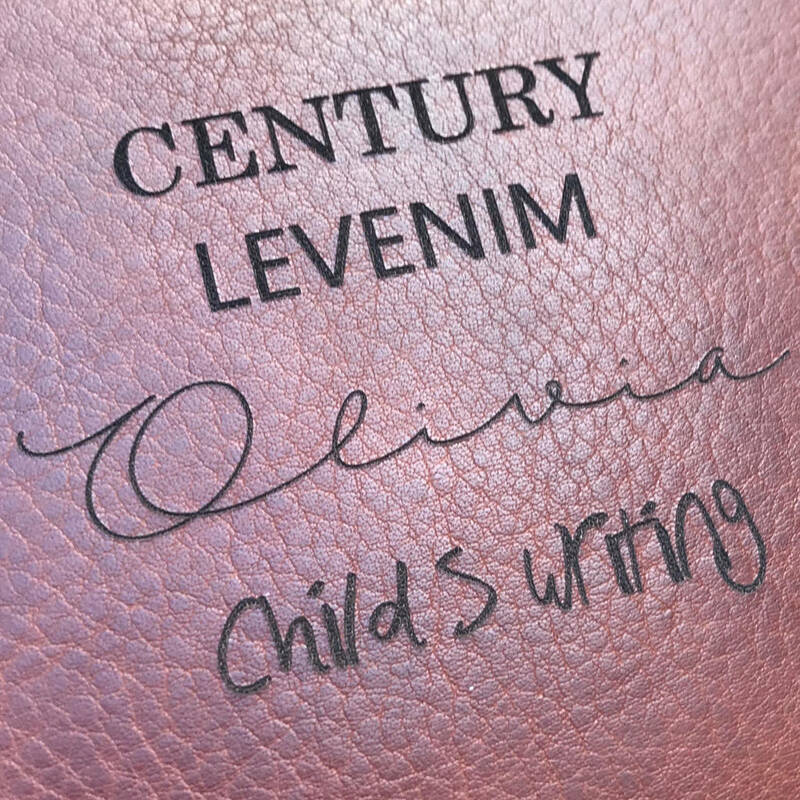 Plain or personalised, make use of up to 12 characters. 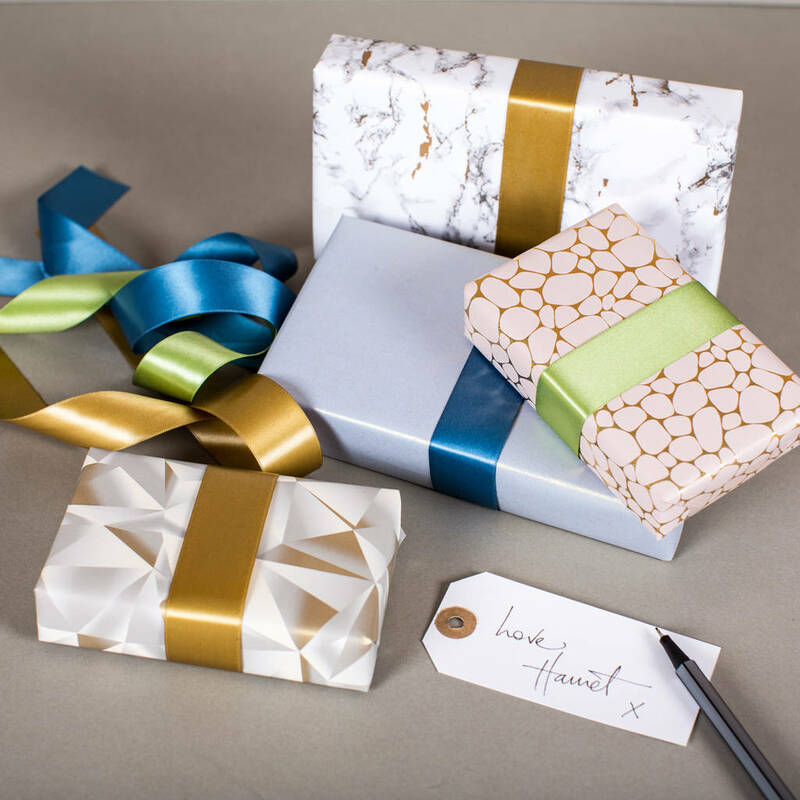 FREE next day delivery on plain cases ordered before 2pm, allow an additional 1- 2 days for our speedy in house personalisation service.